Going through a divorce is one of the hardest things that you’ll do in your life. Ending a marriage isn’t something that’s usually done quickly; it’s a process wherein you’ll need to negotiate the minute details of your life as you work to separate it from your former spouse. Some divorces are more complicated than others, but none of them are easy. When you decide to end your marriage, it’s important to have an experienced family lawyer who can help you through the process. As a family lawyer in the Bronx, The Law Offices of Diron Rutty, LLC has years of experience helping guide men and women through their divorce. We know that while nothing makes it easy, there are a number of things you can do to help move the divorce along smoothly. If you believe you are heading towards a divorce, here are some action items that can help prepare you for the process. This could be one of the most important steps. It’s also potentially the most complicated one. Your financial life is going to come under intense scrutiny when you are going through a divorce, so the more organized you are during the process, the less stressful it’s going to be. Gather financial information such as your tax returns, bank statements, and an inventory of your personal property and keep it all organized and on hand. You might want to consider opening a bank account in your name only as well as getting a credit card that’s unattached to your spouse. Pull a copy of your credit history, too, to ensure there isn’t anything on there that shouldn’t be. A divorce can be expensive. Not only will there be legal fees (whether or not you hire a lawyer), you’ll need to have money for expenses such as a deposit on a new place to live, money to cover the bills, moving costs, and even little things like going out to eat more often as you settle into your new life. Putting some money aside for this process ahead of time can take some of the stress away when everything is actually happening. Plan for life after your separation. Think about what you’d like your life to look like after the divorce. This can help you set priorities for the divorce negotiations and know what really matters to you. For instance, do you want to stay in your home? Then you’ll want to make sure you have the finances in place to make the monthly payments as well as pay for the upkeep. If you would instead rather move away, you’ll know that fighting to keep your home isn’t on your priority list. Think about where you want to live, what items you want to keep, what your income will be like, and any arrangements you’ll need to make for your children if you have them. You should not go through a divorce alone. It will be difficult to tell people that you’ve decided to end your marriage, but being honest can help you get the support that you need as you go through this difficult time. Support might come from your job, your friends, your church, or even a support group. You don’t have to tell everyone at once and you don’t have to rush into an announcement. Make a list of the people you feel you can depend on for support and some specific ways that they can help you, perhaps with household chores or childcare, as you settle into your new life. Most importantly, don’t go through a divorce without hiring a family lawyer. When a marriage comes to an end, in most cases it’s an emotionally charged time for both parties. Trying to work through the process without an experienced lawyer can lead to a lot more stress and heartache. A family lawyer can inform you of what your rights are when it comes to spousal support, child support, custody arrangements, and more. This information is invaluable and can help you make sure that you have what you need to start moving forward. Do your research before you start the divorce process and look for a family lawyer in your area who is experienced with divorces similar to yours. Ask for a free consultation so you can meet with them and determine if they are a good fit for you. 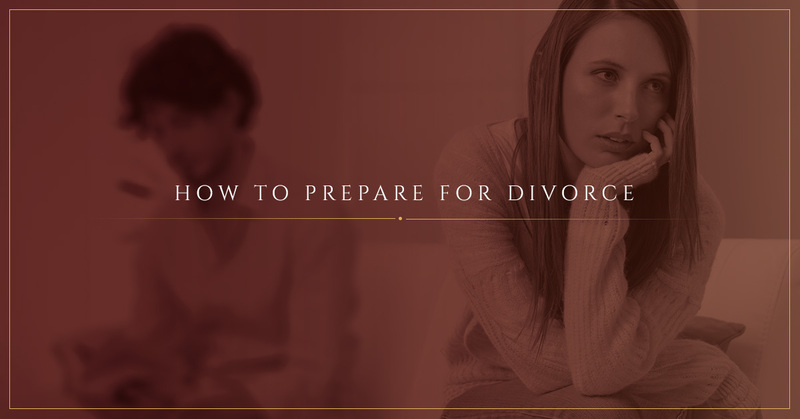 If you believe that you are heading towards the end of your marriage, The Law Offices of Diron Rutty, LLC is here to help. We’re a family law firm on the Bronx with years of experience with divorce cases. You can reach out to our team and schedule a confidential free consultation by giving us a call or contacting us through our website. We’ll talk to you about your options for divorce and the best way to start moving forward. Don’t go through this process without experienced counsel. Call us today.